Today, many people pray and long for revival – a special outpouring of God’s blessing when His people are spiritually renewed and many others are converted. They view the advancing tide against the truth and Word of God with alarm and are concerned for the honour of God. This must not be a counsel of despair, as though we can do nothing without it and neither must we despise the day of small things. It’s possible to have a false romanticism about these things. Yet if the glory of God is truly paramount in such desires it is commendable. Revival is a time when God is truly seen as God – in His glorious majesty. This is what we desperately need. Secularism has pushed God to the edges and sometimes even Christians can be comfortable with that. Perhaps part of the difficulty is that revival is a distant memory. What would it look like and what effects would it have? Some may ask: “do we need revival today?” The following brief clip may help to provide some answers to that question. It is the conclusion of the second video in the forthcoming Scotland’s Forgotten History series. The second video focuses on Scotland’s Forgotten Revival. This was a period which was arguably Scotland’s greatest revival. It went further, deeper and lasted longer than any other. How Should We Pray for Revival? Psalm 85:6-7 is a cry for God to revive His people again and have mercy on them. This is the Church praying for some relief from the distress in which they were at this time. David Dickson has some helpful comments on this Psalm that draw out the nature of true revival. The following is an updated extract. He notes that the cry assumes that God’s purpose and pleasure must be that His people should have joy in their God. On this basis and on the grounds of His covenant, they request new tokens of mercy. It is like a death to be deprived of the evidence and sense of God’s favour. Likewise, it is life to be clear that we are in favour with God. Those who have had experience of the sense of God’s favour cannot endure to be without it and seek to have it restored. We can expect a change for the better because plagues and wrath upon God’s people are only temporary. After they have smarted for their sins for a while, they may yet expect to be restored to joy and comfort again. Our joy should not be in the gift, but in the giver – we are to rejoice again in God Himself. Revival mercy removes the tokens of God’s wrath and brings peace and reconciliation. (a) Although God’s people may be under the sense of wrath, yet the Lord will comfort them after they seek grace from Him: “he will speak peace unto his people” (v8). (b) Those who are concerned about true holiness indeed are God’s people, to whom the Lord will speak peace. It is for the sake of such that the society in which they live will partake of the fruits of God’s favour to them: “he will speak peace unto his people, and to his saints”. (c) Our folly (foolishly following the vanities that allure us to sin) interrupts our peace with God. This is what diverts us from communion with God. Thus peace must come by our forsaking the sinful and foolish ways which have brought wrath. The way to keep us in that peace is not to return to these ways again. The very purpose both of God’s correcting us and His restoring peace is that we do not sin as before. “He will speak peace unto his people, and to his saints: but let them not turn again to folly”. The nearness of free salvation in Christ who is the glory of any land in which His saints dwell is another effect of revival (see verse 9). (a) The heirs of the promises are the only ones that make it their business to please God and avoid provoking Him. They are those that “fear him”. (b) The afflicted believer, labouring under the sense of wrath, cannot be satisfied with any other deliverance except Jesus Christ. He is really the only complete salvation of God. He alone is able to answer fully to that name. Christ was known to the Church before His coming in the flesh by that name. Simeon said that his eyes had seen God’s salvation when he had Christ in his arms (Luke 2:25-26, 30). Here is the name by which Christ was of old known to the Church, among many other titles. He is God’s salvation, as He is called here. (c) Consolation and deliverance, and salvation in Christ, are near at hand to every upright afflicted believer. The afflicted believer may or may not be able to see it with comfort for the time being. Surely God’s salvation is near “them that fear him”. (d) Glory dwells in any land in which the true church of Christ, the saints, and those that fear God dwell. There God is glorious through Christ by His Spirit bringing righteousness and salvation to such a society. The people are glorious because of His presence and that land glorious above all other lands. Surely His salvation is near them that fear Him, “that glory may dwell in our land”. The third fruit of mercy is the grace of Christ in justification and its fruits in those are justified by faith. There are three pairs here that sweetly agree together: (a) mercy and truth; (b) righteousness and peace; and (c) truth and righteousness (verses 10-11). Mercy and Truth. God’s mercy pities, spares and pardons His sinful people. His truth performs all the good things which He has promised in His Word. A merciful God and unbelieving sinners are separated, and stand at a great distance, the one departing more and more from the other. 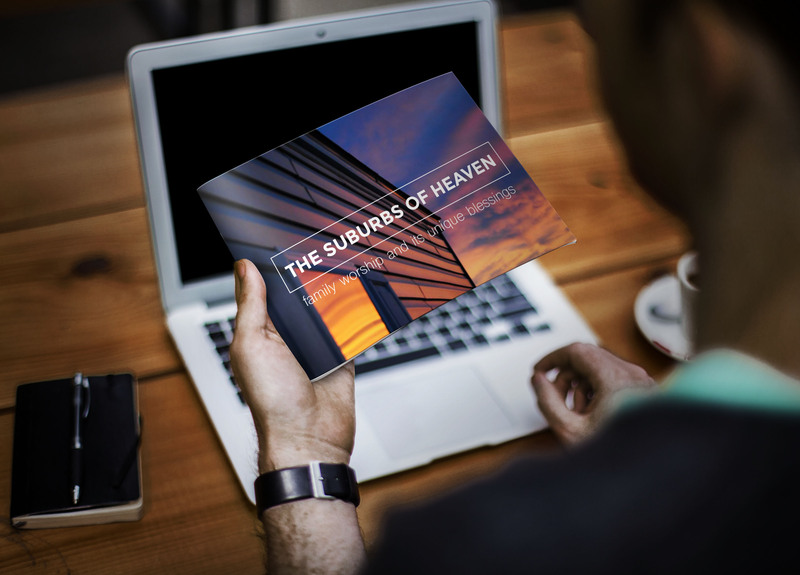 A merciful God and a believer are surely reconciled and quickly meet together. God in Christ holds out mercy to the sinner, and mercy bestows faith on the redeemed. Faith lays hold on mercy, and so mercy and truth are met together. Mercy calls for faith, and creates it, and faith calls for mercy, and so this couple meet together. Righteousness and Peace. Both of these are the effects of mercy and truth meeting together, or of mercy and faith saying amen to mercy’s offer. Faith laying hold on mercy, brings down righteousness or justification by faith. We, being justified by faith, have both peace with God and our own consciences (at least in terms of our right and privilege – our assurance of this peace may be interrupted). In all those that mercy (the offer of grace) and faith (receiving the offer) meet, justification (imputed righteousness) and peace with God also meet. In this way “righteousness and peace have kissed each other”. Truth and Righteousness. This is truth, or true faith in man on earth and righteousness from God in heaven. Faith springing out of the earth as planted by mercy. It springs forth in its discernible fruits which are sincere love to God and man. The righteousness of God from heaven shines down as the sun to for nourish and protect what He has planted and to perform all promises to the believer. When mercy in God and true faith in man meet together this is followed with the righteousness of justification and peace with God. Thus, true faith in man is followed with fruit. It cannot be idle but works to bring forth the effects of faith or truth. Truth shall spring out of the earth, and righteousness from heaven is followed with active influence on faith springing forth. It defends, increases and blesses it, just as the sun fosters and refreshes the fruits of the ground. “Truth shall spring out of the earth, and righteousness shall look down from heaven”. Outward benefits are given to the believer as well as blessing on the land where believers dwell (v12). (a) The things of this life are appendages to the chief mercies of the gospel, which reconciled people may expect to receive of God, as their need and good require. The “Lord shall give that which is good”. (b) The place or land, where the Lord’s people dwell, bears the tokens of God’s displeasure when they provoke Him. In the same way, the land is clearly blessed when His people are reconciled to Him: and “our land shall yield her increase”. The grace of Christ for directing and advancing believers in sanctification is also provided (v13). Christ will be their leader. The righteousness of Christ imputed to believers will make believers follow Christ’s ways, and go on in the paths of His obedience. (a) Christ is the captain of His redeemed and reconciled people. He and His people are walking in one way in which He goes before His people so that they may follow His steps. He also goes behind them to bring and set them forward in the way, so that none may fall away. (b) Righteousness prepares Christ’s people to follow Him: This happens in the work of conversion or regeneration, in which the mind is enlightened to see righteousness and the heart inclined to follow it. It also takes place in the work of daily direction by His Word and Spirit. “Righteousness shall go before him”. (c) The believer must walk in the way prescribed by the Lord as leader. The grace of righteousness or sanctification is that which advances us effectually towards holiness. Christ as leader sends this into His people’s hearts to make them follow the direction given to them. “Righteousness shall go before him, and shall set us in the way of his steps”. 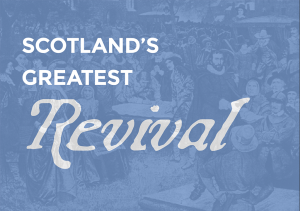 Scotland’s Greatest Revival is a booklet that you can purchase from our online store. 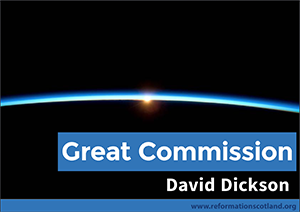 It shows how the Second Reformation period was was not only a period of radical reformation and rediscovery of Biblical truth in the Church of Scotland. 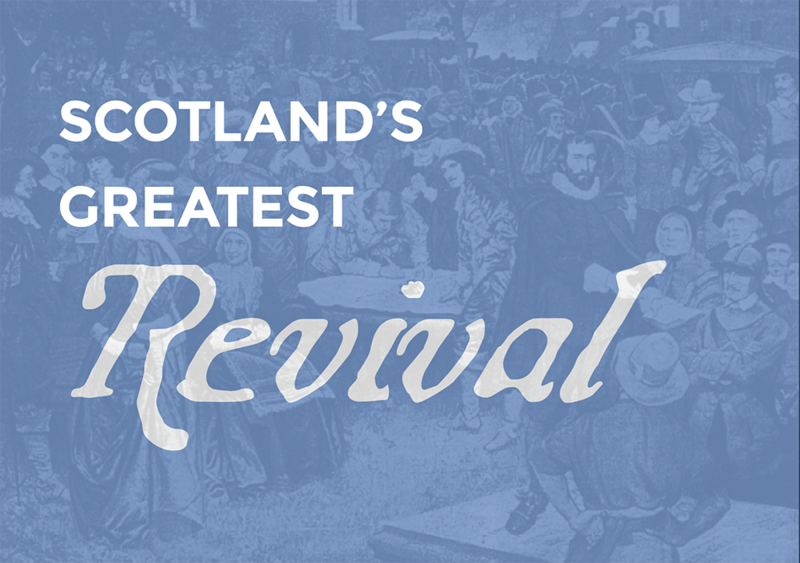 It was also the period of greatest revival throughout the whole nation that Scotland has ever experienced. There are 7 key points that demonstrate the truth of this claim. Read more in an article here.